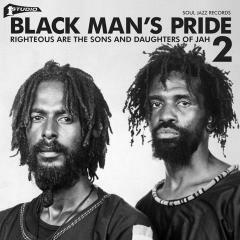 The extensive sleeve-notes to this album also discuss the links between Rastafari and Studio One in time and place, noting how both the religion and Clement Dodd’s musical empire had their roots in the intense period of pre-independence Jamaica in Kingston, expanded in the 1960s following the visit of Haile Selassie in 1966, and how roots music then came to dominate reggae music in the early 1970s. Also discussed is how the outsider stance of both reggae music and the Rastafari movement relate back many hundreds of years to the original rebel stance of the Maroons, escaped slaves who set up self-sufficient enclaves in the hills of the Jamaican countryside. There is also a track-by-track history by the noted Studio One writer Rob Chapman (Never Grow Old).